Special bonuses just for you! Welcome to the Board Ignition Online Course - Special Bonus Section! 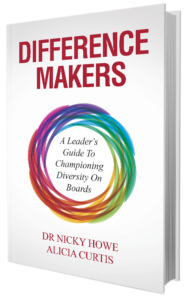 Don't forget to send me your postal address to get your signed copy of the Difference Makers: A Leader's Guide to Championing Diversity on Boards. Books will be posted at the start July.